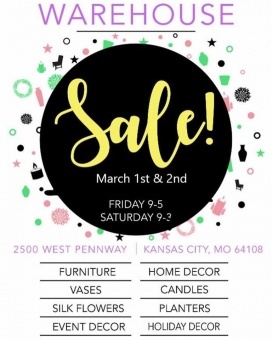 All Missouri Sample Sales, Outlets and Stocksales in one place. The list of all sample sales, stocksales and outlet stores in Missouri. 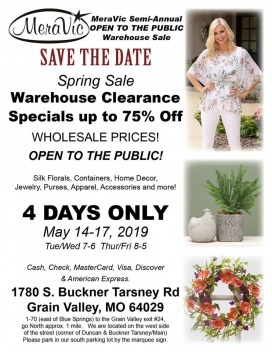 Take up to 75% discount on apparel, accessories, jewelry, purses, home decor, and containers at the MeraVic Semi-Annual Warehouse Sale. Cash, Check, Visa, MasterCard, Discover, and American Express are accepted. Shop for wedding gowns at 25% to 50% discount, accessories at 25% to 75% discount, mother's dresses at 40% discount, and bridesmaids gowns at $49 to $79 at the Ana Marie's Bridal, Inc. Sample Sale. Shop for fabric, vases, event props, and furniture at bargain prices at the Studio Dan Meiners Annual Warehouse Sale. 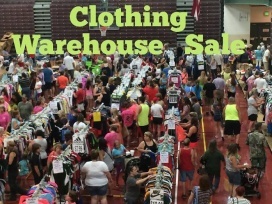 Shop for men and women's apparel at reduced prices at the Run 816 Sample Sale. The Sale will be comprised of sample, current, and past season pieces.